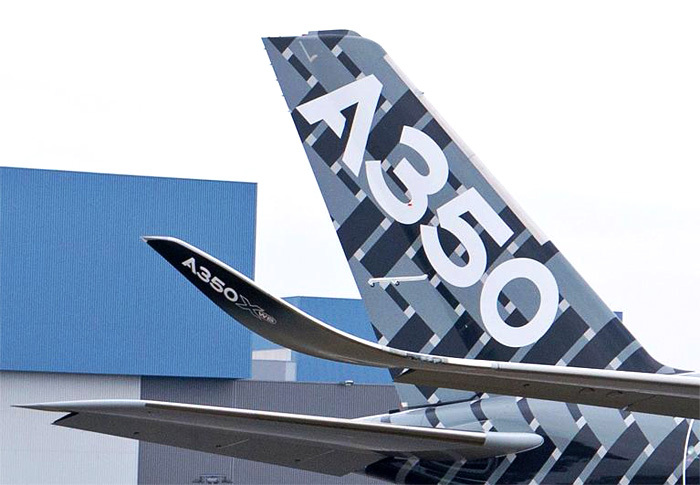 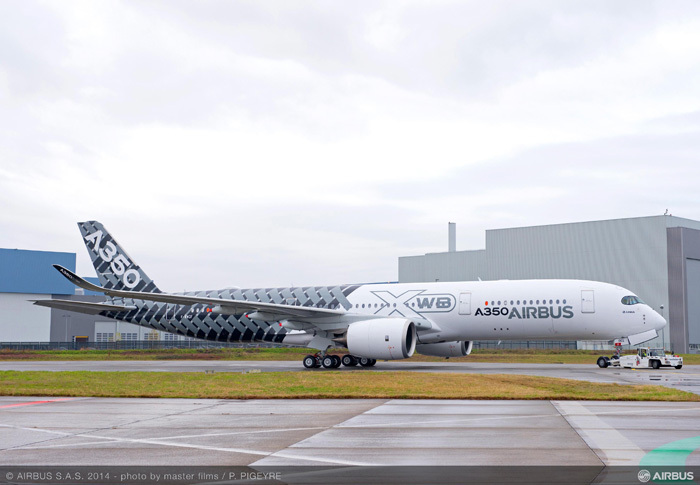 On 2nd January 2014 Airbus rolled-out its third Airbus A350 XWB flight-test aircraft, MSN2 (F-WWCF), from the paint shop in Toulouse. 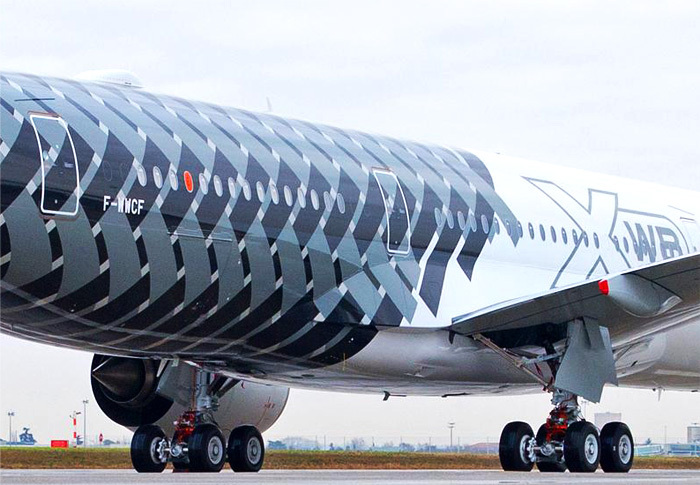 The plane features a distinctive “Carbon” signature livery to reflect its primary construction from advanced materials. 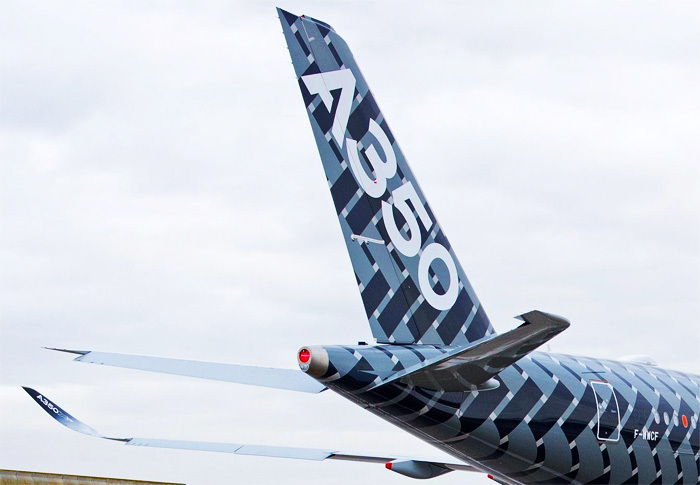 Benefiting from over 30 years of composite material experience, 53% of the A350 XWB’s airframe is made-up of carbon-fibre reinforced polymer (CFRP) including Airbus’ first carbon-fibre fuselage. 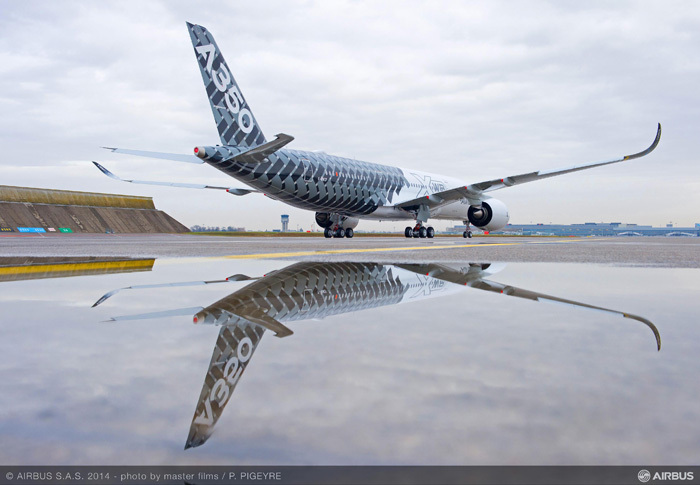 MSN2 will join the A350 XWB flight test fleet in the coming weeks and will be the first A350 to transport passengers when it undertakes the Early Long Flights (ELF) later in the year. 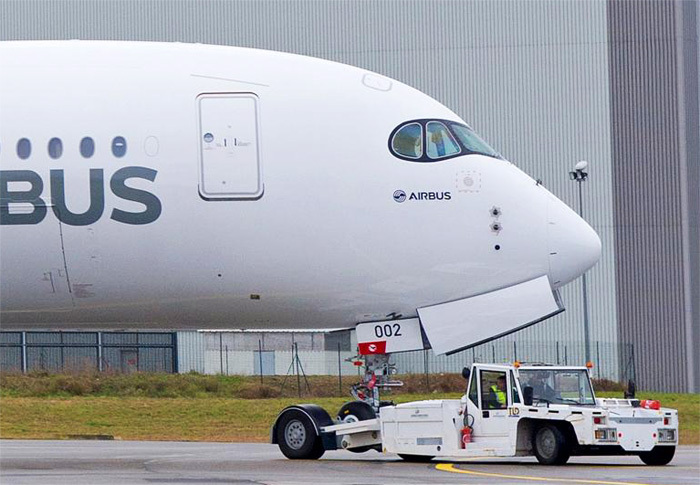 Entry-into-service is scheduled for Q4 2014.